Status: project is on hold and waiting for changes in city plans to pass. Two pre-existing office buildings and a parking house attached will be demolished and replaced with new construction including accomodation, office and business spaces. 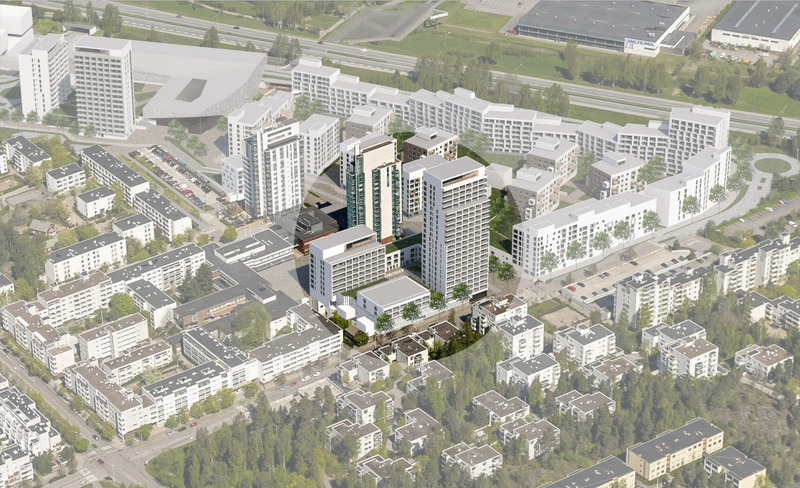 The project is located besides Kivenlahti square in Espoo where existing urban structures meet the structures of the city those are being renewed along with the completion of Kivenlahti metro station. The eastern entrance of the new metro station is adjacent to the new constuction.